The one near Don Quijote has only 1 line- the Tsukuba line. 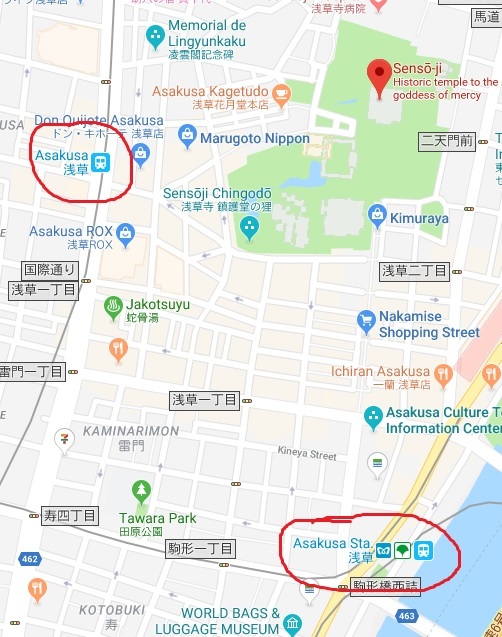 The Asakusa station near the river (lower left hand corner) has 3 lines- Ginza, Toei and Tobu. This is the station to get to Nikko and is where the Tobu tourist centre is located. Both stations are about 500m apart.